Recovering from the Google Panda and Penguin Update is not easy unless you know how! If your website, or even just individual web pages, have lost ranking due to either of these algorithm updates, then it is important that you take immediate steps to understand what has been happening, and how to change your strategies to meet their requirements. Here is a brief outline of what panda and penguin have been designed to detect, prior to discussing ways of overcoming the problems that have led to your web pages being downlisted, or even removed from the listings altogether. Also known as the Farmer algorithm update, Google Panda is not as simple as many have claimed it to be: it does not simply seek out excessive linking from low-quality sites known as ‘link farms’ (hence Farmer) but has developed through numerous updates to seek out several problems that might reduce the experience of Google clients when seeking information. Keep in mind that Google’s customers are those using it as a search engine, seeking useful information on topics defined by the search terms they use, or ‘keywords.’ Google’s prime responsibility is to provide these users with the best quality information possible by filtering out the lower-quality web pages, and even entire domains, that compromise this objective. As with any Google search algorithm, only selected Google staff understands exactly what these machines are measuring, but an intelligent guess can be made, based on the qualities of the sites affected by the Panda update and also the modifications made to these sites that have resulted in an improvement. 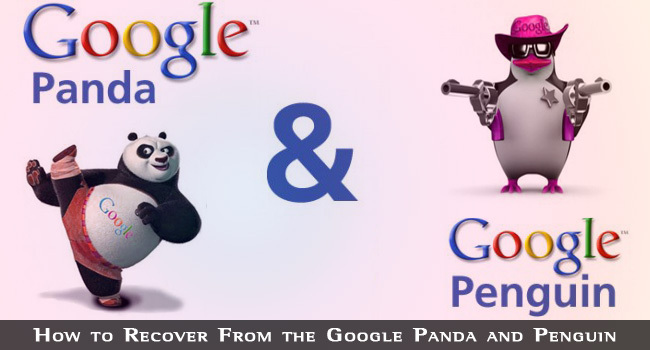 Here are some of the factors that Google Panda is believed to take into account. 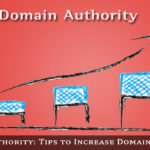 Keep in mind that Panda operates domain-wide and not just on individual pages, so every page in your entire website will be affected by a downgrade. Websites with excessive links back from content farms. Websites that operate as content farms. Sites with excessive adverts – even Google AdSense blocks. Sites with too much SEO – over-optimized sites and black hat techniques. Websites taking too long to load. Duplicate content – additional to the so-called duplicate content penalty. High bounce rate – visitors leaving as soon as they arrive. Excessive broken links and 404 errors. Poor SEO in Head section: Title and Meta Description tags. Spammy unregulated comments in blogs. 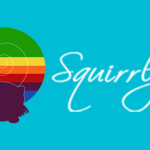 Unregulated spammy links in blogs. The original Panda update may not have related to all of these, but there have been about 20 updates since February 2011 when Google Panda was introduced, and its scope has been extended to delist or downgrade websites where any of the above factors have been detected. There may be more, but these are the principal failings that Panda is now believed to be punishing. It has been stated that a Panda downgrade cannot be retrieved, but many people have proved this wrong. 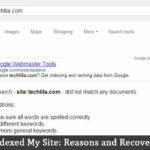 Here are some things you can do to recover if your website has disappeared from Google’s SERPs. There are many steps you can take to recover from a Google Panda downgrade in your rankings. Fundamentally, if you reverse all of the above points then you may be successful. Google is looking for websites offering useful content without too many adverts to divert the attention from the content. The content must be well written, using good grammar and of no less than around 600 words or more. There is no upper limit, although Matt Cutts suggest 600 would be a minimum. a) Matt Cutts advises that you focus above the fold, or on the initial visible portion of your web pages on most screen sizes. Avoid publishing adverts above the fold, unless it is a single AdSense block. Internal links are acceptable but do not make your reader scroll down too much to find useful content. Use the Google Page Size Tool on Google Analytics to find out how your page looks on various screen resolutions. b) Ensure that each page has a good heading that will interest readers, and that this is immediately followed by useful information and not averts, affiliate links or list-building forms. Leave these for below the fold. c) Do not overuse keywords: 2% should be a maximum. Instead use semantically related vocabulary. For example, rather than continually using the keyword ‘advertising’, use related terms such as ‘marketing’ or promoting. Do not continually use your main keyword in H1 or H2 headings on your web page – once only is enough, or twice for a longer page of over 600 words. d) Spread your backlinks across a wide range of publications, and try to avoid sites whose sole existence is to offer links. Article directories are acceptable according to Google, but not link farms whose sole objective is offering links rather than content. e) Keep moderating your blogs comments and remove spammy comments and links. f) If you have pages with little content, such as lots of adverts, price lists and so on, use the robots tag to noindex them. The Panda update will then ignore these pages when assessing your content. g) Use images and videos above the fold, and make sure you use the ‘alt’ attribute to describe them using the appropriate keyword. Bing Webmaster Tools can help you to find pages with missing ‘alt’ attribute. h) Add share buttons to your blog or web pages, particularly Google+, +1, Facebook ‘Like’ and others. Be honest with your information and backlinks, promote your brand and fresh content over as wide a range of social media as you can. Offer your visitors a fast-loading site with good immediately readable content that is 100% relevant to your Title and Description tags, your links and your adverts. Avoid link spam and paid links, and also paid or mutually agreed reciprocal linking. Focus on the above points to begin with and then wait. Google Panda is run only every month – six weeks, so do not expect instant results. Now a few points about Google Penguin. Scraper software ‘scrapes’ sites listed for specific keywords, and uses the content found to generate ‘new’ web content. This is generally an amalgamation of content obtained from a number of web pages offering relevant information. Some article-generation software creates articles this way, and Penguin can detect these by identifying large numbers of duplicate snippets within the article. Such pages and articles are liable to be delisted. This involves the creation of large numbers of new articles from an original by means of ‘spinning’ numbers of synonyms for selected words or phrases. Penguin can detect such spintax-generated content and punish entire websites that are using it. Links are included in many web pages for the sole reason of influencing search engines. For example, the use of software to generate links can now be identified and punished. Purchasing links is suicide for webmasters, and having your links published on known paid or link farms will almost certainly result in a downgrading of your website. Hidden links are another form of linkspam. Some blogs are generated by software for the sole reason of increasing PageRank and SERPs. There is also a great deal of blog comment software going the rounds, which post generic comments to blogs along with links. Not only should you avoid using the software, but should also administer your blog regularly to remove such comments. For example, if you find a generic comment such as “Great blog – I will mention it to my friends,” then that is almost certainly spam, particularly if it is associated with a link. Remove these immediately or Penguin will make you suffer for another person’s spamming of your blog. The reason for that is that your blog is not offering a good service by publishing spam. As previously stated, never buy links or agree to reciprocal links with web pages not directly connected with your page title tag. If two web pages have something to offer each other, and reciprocal links could benefit visitors to each web page, then that is OK. Otherwise, avoid them! Make sure backlinks to your website point to a variety of pages within your site and not only to your home page. Also, use a wide variety of anchor text. Avoid using only your site name as anchor text, but use keywords or even a page title if it is not too long. Also ensure that links are coming from a wide variety of other types of website, such as article directories, blogs, ezines, social networks, social bookmarking sites and so on. Finally, Google is not trying to catch you out. It is trying to improve its service to the users that are its customers – those seeking useful information from the search engine. If try to cheat by forcing poor web pages to the notice of Google users then such users might move to Yahoo or Bing (now the 2nd most used search engine). Google is not prepared to tolerate this, so don’t try to cheat and you will not lose ranking through the Google Penguin or Panda update. 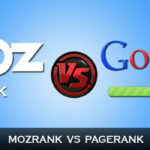 If you have lost ranking, then check the above information against your website strategies and put right what is wrong. That’s how to recover from the Google Panda and Penguin update.